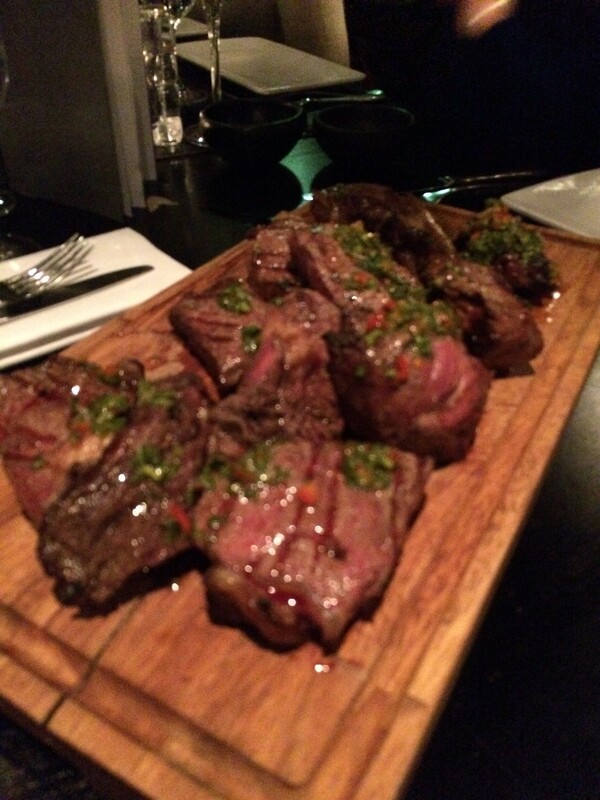 I remember the first time I ever tasted Gaucho Argentina beef from their stall at a Taste of London event. A thin bit of sliced seared grilled beef, from their opened flamed grill. A mouthful of naturally tender and flavoured high-quality Aberdeen-angus beef. Fast forward many years later, my friend decided to celebrate at Gaucho. 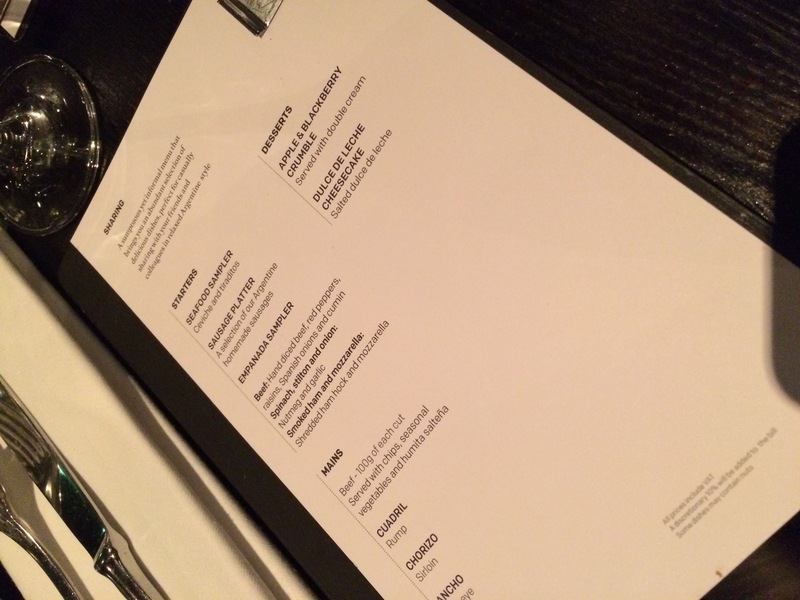 Being in a group of over 10 people, there was no other choice but to have the sharing menu. A total bargain in my opinion, as you can share various dishes without forking a lot. 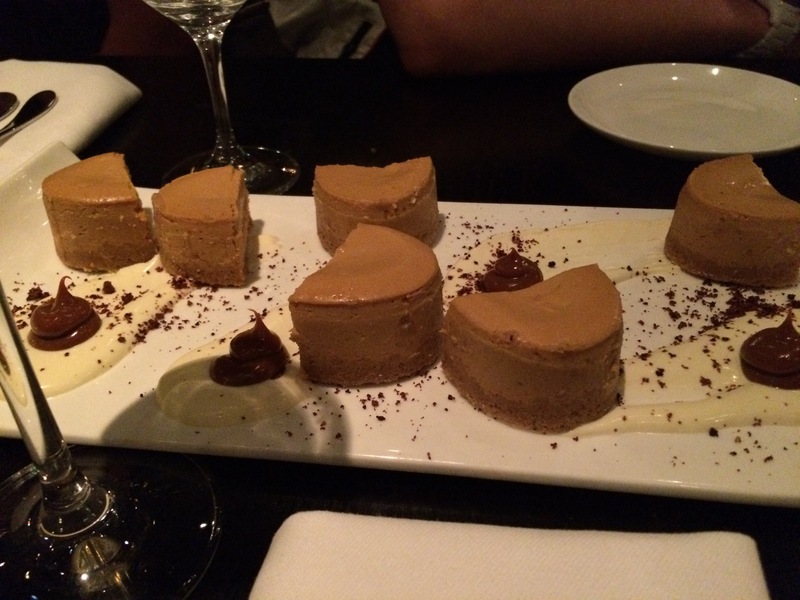 We visited Gaucho over at the O2, the moment you step in you’re transported to a world of black polish furnishings, glittering lights low dim lights. Since I was the first person to arrive, I was guided to sit at table by the bar until the rest of the party arrive. Once the party and birthday girl arrived we took the lift up to the dining area. The room was full of people dressed to impress, couples on dates, and groups of people. Starting off we bread and butter we waited for our first platter to arrive. The seafood sampler consisted of ceviche and tiraditos. 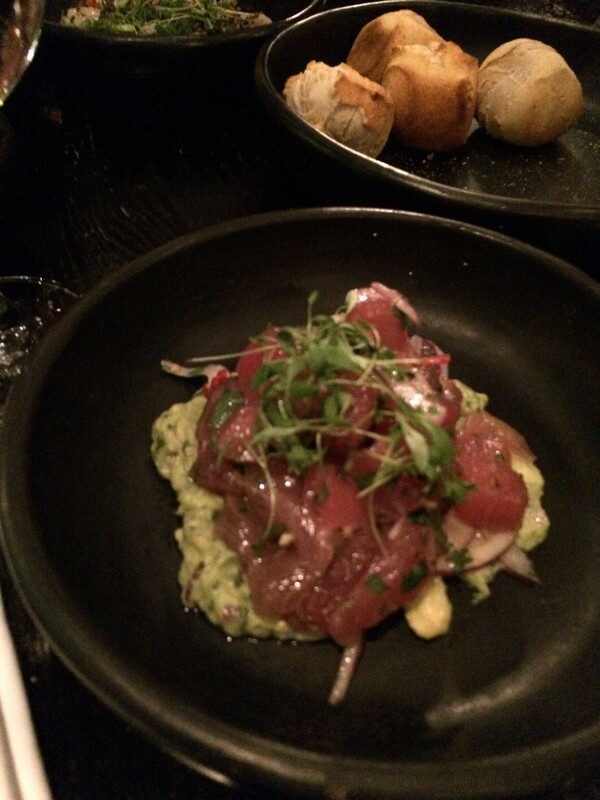 Raw slices of fresh sashimi tuna, red onions on a bed of avocado smash. 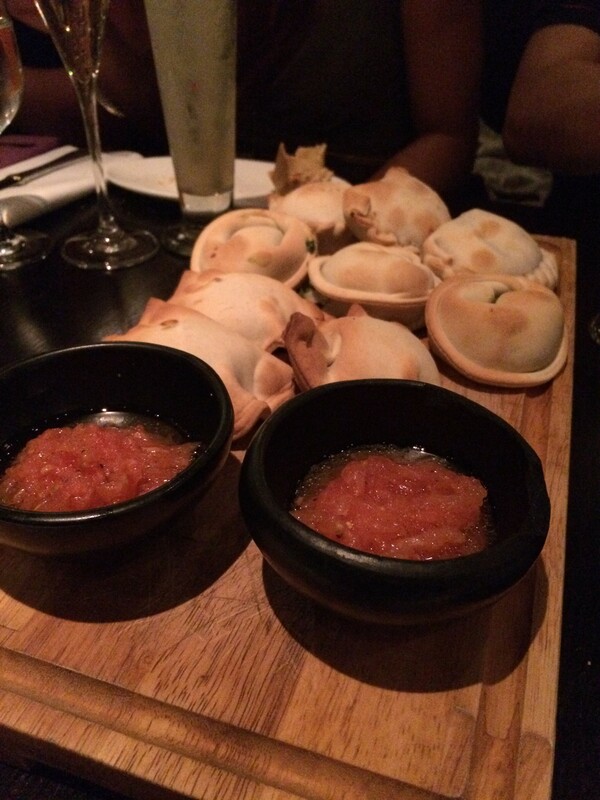 The next platter was a selection of Empanada Latin-american style turnovers. Hard pastries with different fillings of beef, spinach, Stilton and onion and lastly smoked ham and mozzarella cheese accompanied with a chunky tomato salsa. 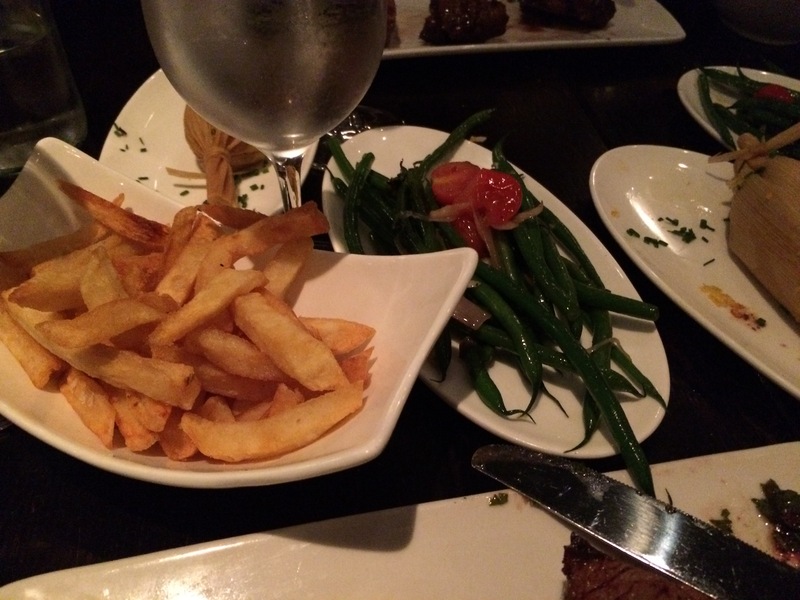 Mains, we had to have what Gaucho is known for the opened flamed grilled beef. 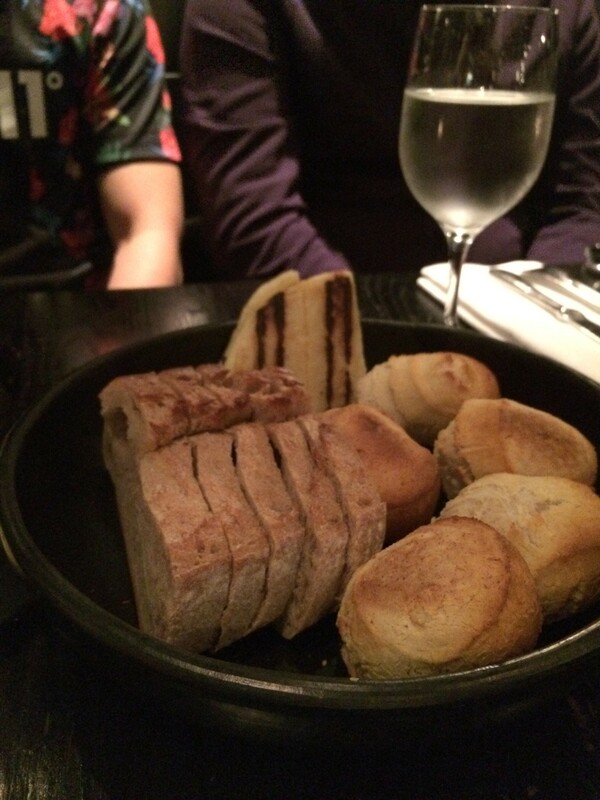 We were given 100g each of Cuadril, chorizo and ancho cuts, served with chips and vegetables. All was a true slice of perfection, incredible flavour and juicy. 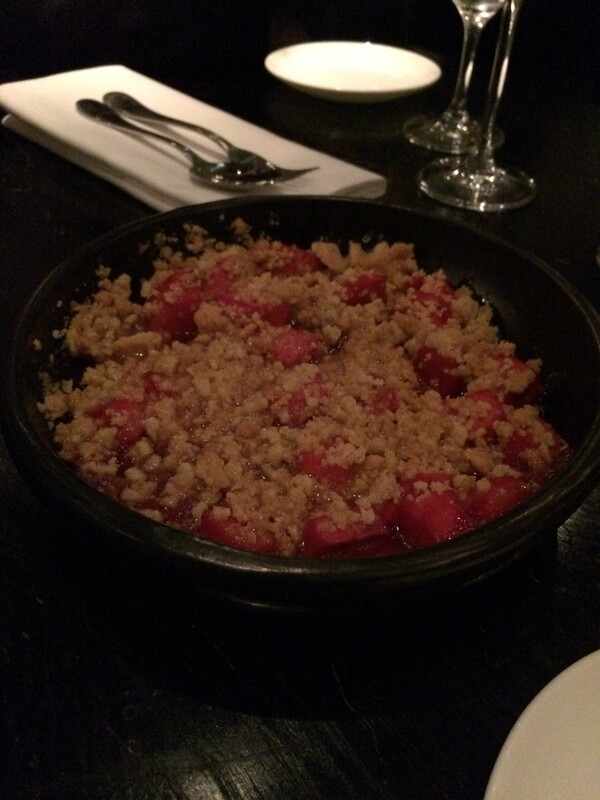 To end we had two different desserts, salted dulce de leche cheesecake and an apple and blackberry crumble. 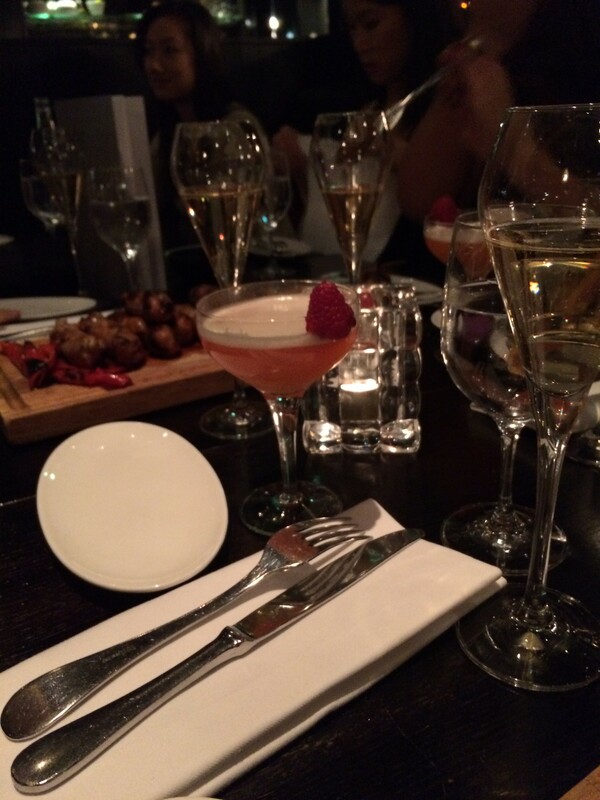 The sharing meal £55 per person is ideal for large groups wanting to taste a bit of everything Gaucho has to offer.